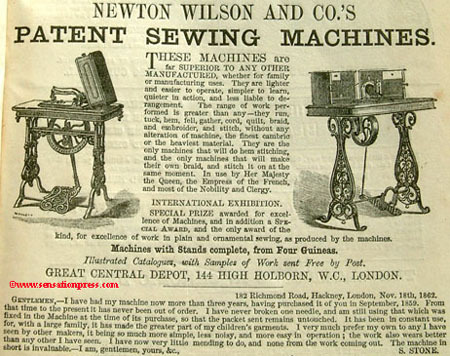 Great Central Depot. 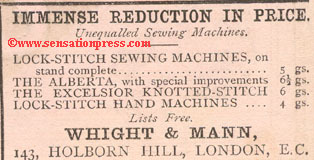 in Holborn. 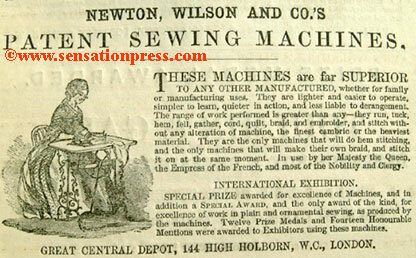 Newton Wilson and Co.'s patent sewing machines. 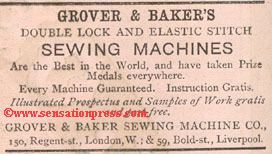 Grover & Baker Sewing Machine Company. 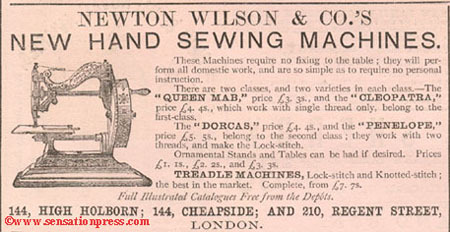 Newton Wilson & Co.'s New Hand Sewing Machines. 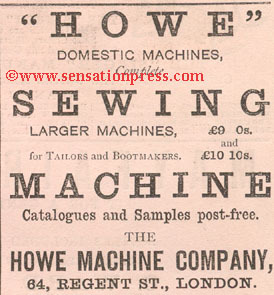 Domestic machines, Larger machines, for Tailors and Bootmakers. 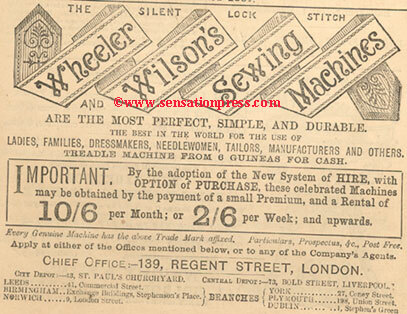 The Wanzer Sewing Machine Company. 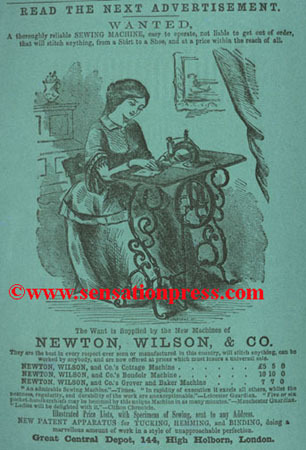 A magazine advert published in 1872. 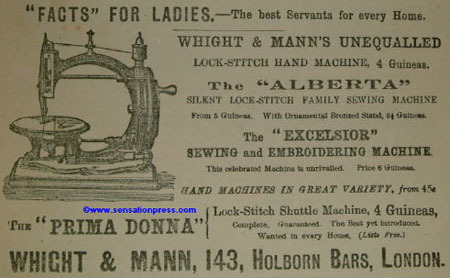 Sewing machines manufactured by Whight & Mann, including the Alberta, the Excelsior and the Prima Donna. 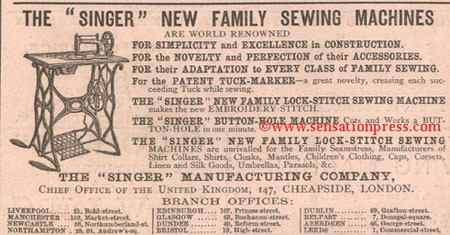 An advert taken from a magazine published in 1876. 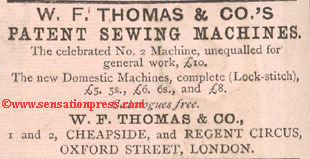 A magazine advert published in 1876. 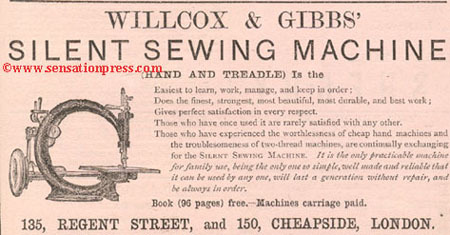 Or on hire at easy weekly payments with option of purchase.